I’ve discovered that Austin has an amazing selection of tacos, BBQ and Mexican food however I’ve been disappointed with the lack of options for good authentic Thai food. I guess I was spoiled when I lived in Leeds, UK because we had not one but three amazing Thai street food restaurants pretty much across the street from where we lived. 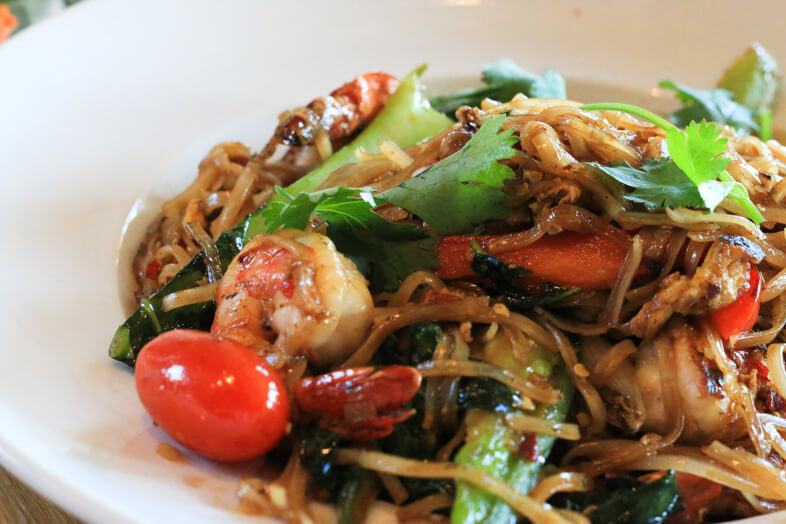 With another two outstanding more upscale Thai restaurants within 20 minute walking distance. 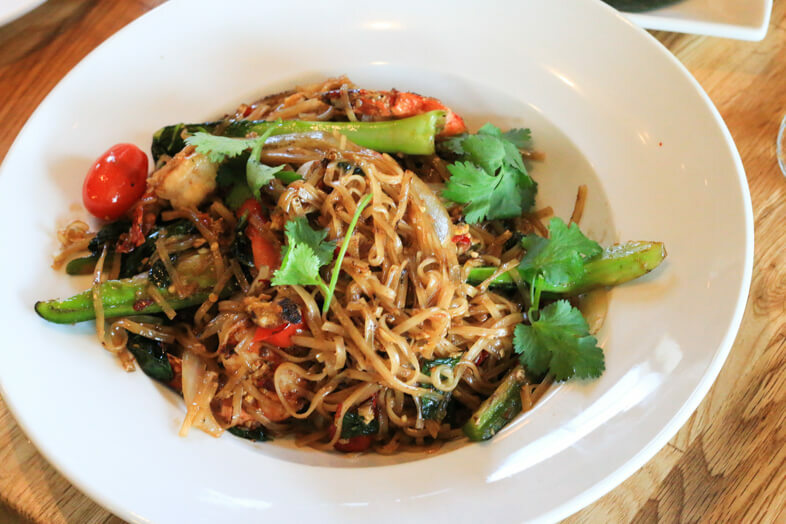 I love food from different cuisines around the world but I crave good Thai food the most.Luckily Krua Urban Thai has opened on South Lamar and they invited me to sample of their food. We ordered four starters and two mains between two people, I know it seems excessive but I wanted to try as many things as my stomach could handle so I could get a good idea of the food quality and make recommendations! We had Shrimp Spring Roll, Chicken Satay, Som Tum (Papaya Salad) and Tom Yum Koong soup. Thai Papaya salad is my ultimate favourite salad. 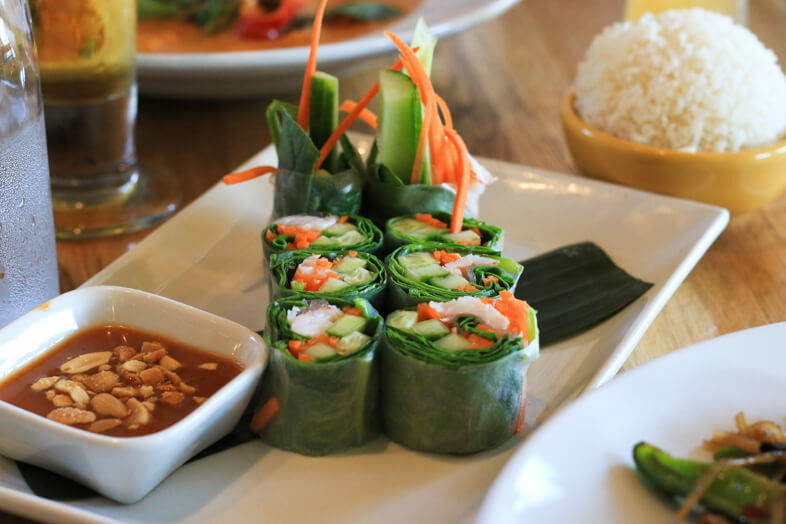 A well made Som Tum is like a dance party for the taste buds. Any Thai restaurant that can do this salad well will have my repeat custom. I’m pleased to announce that I was not disappointed! It had just the right amount of garlic, lime juice, and peanuts. Be warned though that this salad usually comes extremely spicy so I asked for a milder version, it still packed a good chilli kick but it wasn’t an uncomfortable hotness. I really cannot fault this dish and have been day dreaming about it ever since my visit ( If you’re wondering why I would be craving a salad just try it and you will know what I mean!). The chicken satay and spring rolls were both delicious and seasoned well. 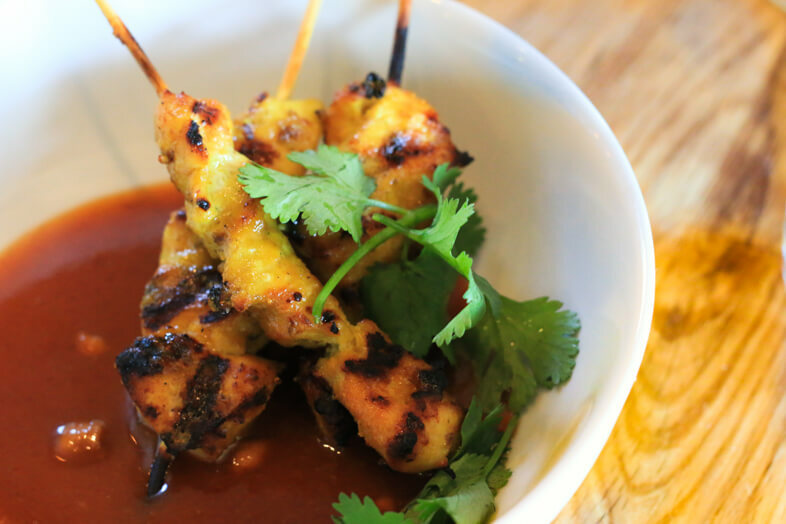 The boy (my foodie partner in crime) really like the peanut sauce served with the Satay chicken, it seemed sweeter than other sauces I’ve tried. The Tom Yum soup was pretty good but it was not as aromatic as I was hoping. 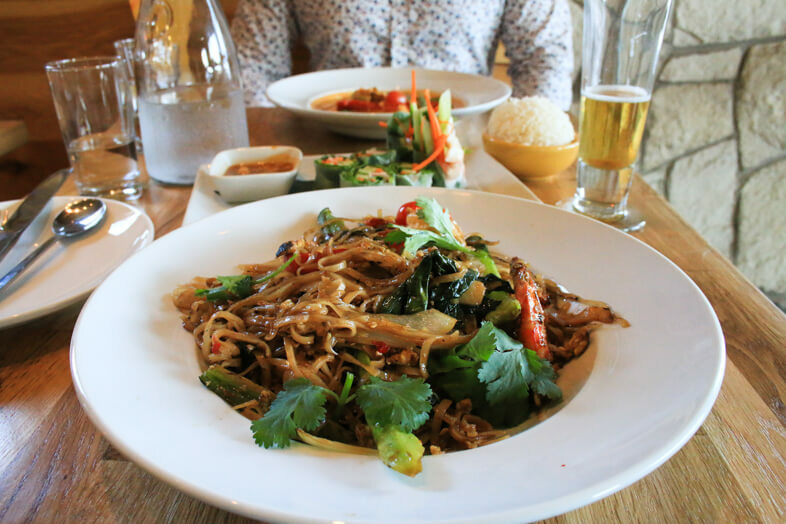 We had a Thai Red Curry (Gang Dang) and Krua’s Spicy Noodle as these dishes were recommended to us by our server. 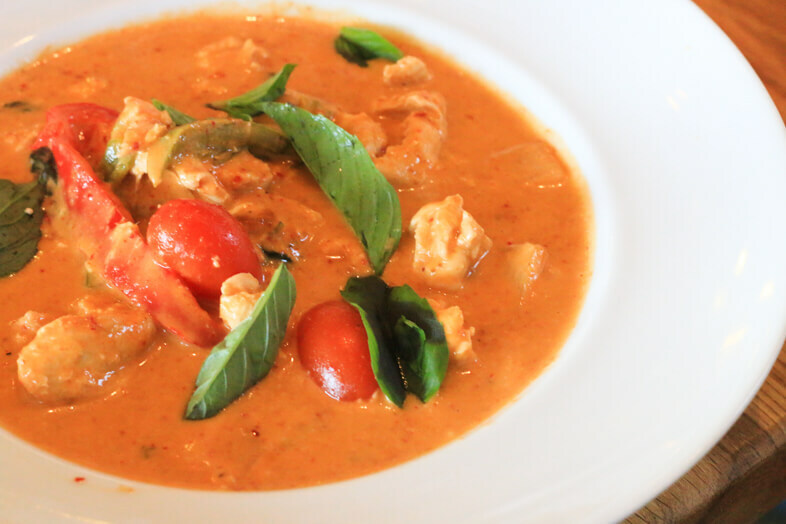 Thai Red Curry is one of my favourite dishes and I’ve always enjoyed every variation of Thai Noodles I’ve ever tried, so I knew I needed to check if this place can satisfy my cravings. Spoiler alert: it did. Both dishes left mine and the boys taste buds very happy. The ingredients were fresh of high quality and the dishes achieved a perfect balance of herbs and spices. In fact it was so good most of our conversation during the meal was about the food! Krua Thai looks small from the outside and honestly you could easily miss it if you were walking/driving past it, I almost did! But it's more spacious inside than it looks.The decor and the finishes inside are very modern with accents of wood and metal. Atmosphere was social (but not too loud) with a mixture of friends catching up over food and couples out on dates. Taking in consideration the nice atmosphere and quality of food I think the pricing is very competitive with the mains starting at $9.50 going up to $13.50. 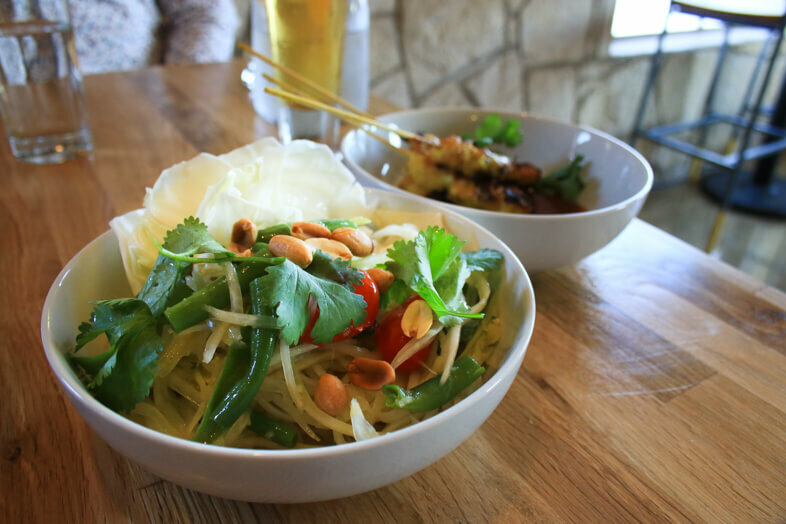 Krua Urban Thai is definitely my new favourite Thai Food spot in Austin and I highly recommend you give it a try! What are some of your favourite restaurants in Austin? I'd love to check them out! Oh wow, that looks so tasty!! Ooo! This food looks amazing!! Thank you Ellenor, I would quite happily have some more right now! The Thai red curry looks insane, can you post to Leeds? Hahaha if only the postal system was evolved enough ey? !